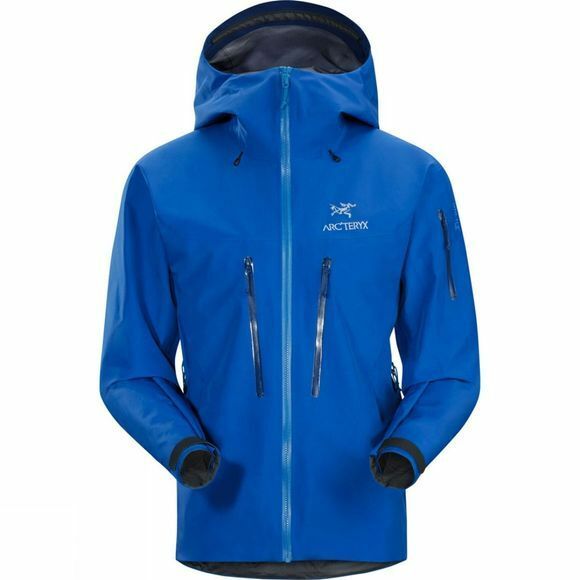 Arc Teryx Alpha SV Gore Tex jacket is simple, sleek and stylish with exceptionally durable N100p-X GORE-TEX Pro fabric that is extremely waterproof and abrasion resistant. E3D patterning creates an ergonomic fit for extra ease of movement paired with an athletic fit leaves room for winter layering. Traditional bellowed, crossover pockets remain accessible while wearing a pack. The helmet compatible StormHood, drawcords and pit zippers all adjust with one hand and the removable HemLock inserts keep the jacket in position when worn underneath a climbing harness.